The Oriental rug cleaning process begins when the grit and dust are promptly removed before the rug is washed. First, both sides are thoroughly vacuumed. If the rug is very thick or dirty, we badger the rug in addition to vacuuming it. This loosens the ingrained dirt and dust through ultrasonic vibrations, so the vacuum easily removes even the deepest embedded soil. Once your rug is vacuumed, it is washed by hand, using the softest brushes, cold water, and mild detergent specially formulated for Oriental rug cleaning. After your rug is washed and extensively rinsed, it goes through a gentle press. Finally, it is hung in the drying room, where the weight of the rug ensures that it dries completely and square. 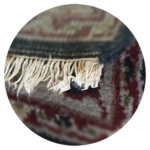 After examining your fine Oriental Rugs or Area Rugs, our experts will safely remove dirt, spots and allergens. Each rug is washed gently by hand with specially formulated cleaners, guaranteed to extend the life of your investment. 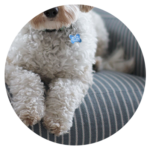 We can leave your rugs smelling fresh and free from pet, child and food odors that are trapped in the fabric. All enzyme-based applications used are green, as well as hypoallergenic. 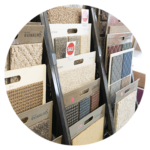 Our stain resistant protective services help extend the life of your rugs, and are a must have with children or pets in your home, or if your rug is placed in a high-traffic area. Ensure your Oriental rugs last for a lifetime. Thank you (again!) Wells Rug for the pristine job on our handwoven rug. 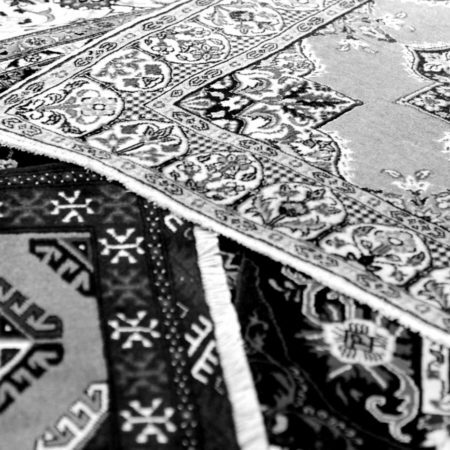 We appreciate the care and dedication you’ve always given us over the many years and rugs!